If you missed last week’s American League preview, click here to catch up. Ever since the Yankees and Red Sox engaged in an arms race of epic proportions to dominate their league, the National League has received a bit less love and mainstream attention. But unlike its counterpart, the National League has fostered a bit more parity over the years, and features far more teams with a chance to contend. This is not to say that the league doesn’t have some serious big market teams, with the Mets, Cubs and Phillies sporting payrolls near the $140 million mark lately. But when you look at the first two on that list, it’s clear that the investment doesn’t necessarily result in a trip to the playoffs. Because this division has a lot more contenders and possibilities, we’ll go by division. This is not the National League West you used to look down on. It seems like only yesterday when our local San Diego Padres made the playoffs with a mere 82-80 record in 2005, but those days are long gone. In 2010, this will be the most competitive division in the league, bar none. To be more specific, the Padres are the only team that doesn’t have a realistic shot at winning it (and they’re at least rebuilding properly). The Dodgers haven’t added much over the winter thanks to the financial issues caused by the ownership couple getting divorced. 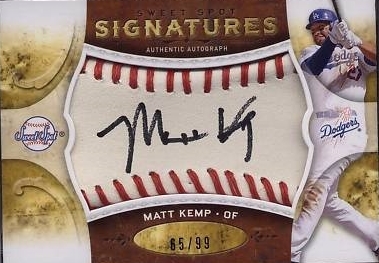 However, they still have one of the best young cores in the game featuring Kemp, Ethier, Broxton, Billingsley and Kershaw. They’re down Randy Wolf and would probably like a bit more help in the rotation; they still have a solid chance to win the division again, but it won’t be as easy as 2009. If I had to name a favorite at this moment to win the division, it would have to be the Rockies. We saw the run they went on last year, reminiscent of their legendary late season tear en route to the 2007 World Series. I have to say, even without Matt Holliday, this 2010 Rockies team is better than three years ago. 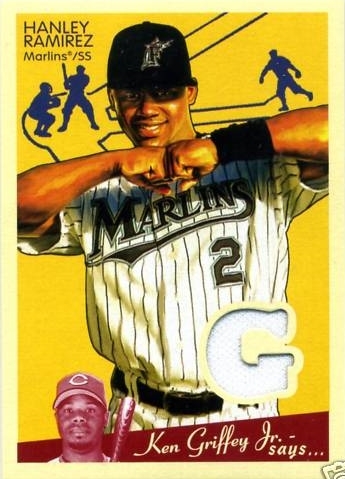 In fact, it was Holliday who netted the Rockies Huston Street and Carlos Gonzales in a trade, setting them up with a reliable closer and a very talented young outfielder for years to come (at age 23, he already started to live up to his prospect hype). The rest of the diamond is filled with some of the top young talent in the game: Dexter Fowler gives the team a legit speedster, Ian Stewart is another player who looks to finally be living up to his potential, Seth Smith has great OBP and power, while veterans Hawpe and Helton round it out. And of course, the Rockies have the immensely talented Troy Tulowitzki, who may be the most underrated player in the game today. Unlike past Rockies teams that were all bats and no arms, this incarnation has a formidable rotation. Ubaldo Jimenez has emerged as an ace who produces serious strikeouts, and #2 starter Jorge de la Rosa does the same. Jason Hammel provided solid innings you’d want to see from a #3 style starter, while Aaron Cook also provides steady innings to go along with his experience. 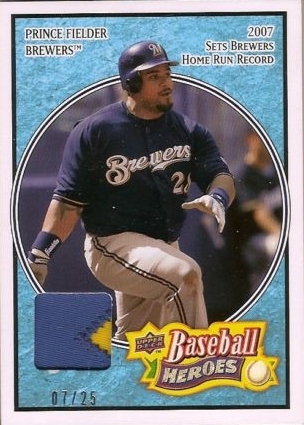 Jeff Francis had been the ace of this team in their 2007 World Series run, and is coming back from injury. The minor league roster is stocked with arms too, featuring Greg Smith, who was the third player to come over from Oakland in the Holliday trade. Where pitching is concerned, it’s of course hard to beat the Giants and their 1-2 combination of Tim Lincecum and Matt Cain. Jonathan Sanchez harnessed a bit more control in 2009 to go along with his strikeout talent, and it’ll be interesting to see if he can build on last season’s accomplishments (highlighted by a no-hitter). If Giants fans have been spoiled by their nucleus of talented young pitching, things are about to get even more ridiculous once top prospect Madison Bumgarner joins the mix. 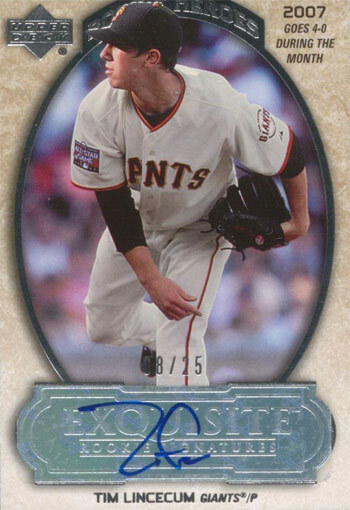 If Bumgarner lives up to the hype, Lincecum and Cain continue to put up great seasons and Sanchez can put it all together, we may be looking at one of the best top-to-bottom rotations in recent memory (one where veteran Barry Zito is a #4-5 starter). Of course, the issue for the Giants remains offense. They did add Aubrey Huff and Mark DeRosa this winter, but are still lacking some serious bats to build up what has been an anemic offense at best. Top prospect Buster Posey is waiting in the wings, but I have a feeling Giants fans will look at the line scores and lament missing out on free agents like Holliday and Bay by the time the summer rolls around. Rounding out the division is another team with serious frontline pitching talent in the Arizona Diamondbacks. If Brandon Webb can come back from last year’s injury and regain some of his Cy Young form, he’ll combine with Dan Haren to give the team the 1-2 punch it envisioned when it traded for the latter a few seasons ago. Edwin Jackson comes over from Detroit (at the expense of the departed Max Scherzer) to give the team a legit #3. 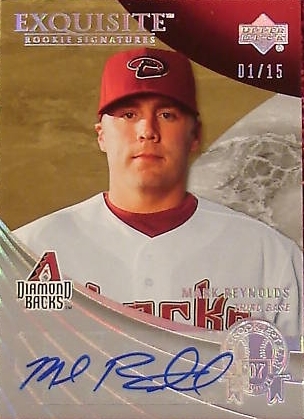 Offense has also been an issue for the Diamondbacks in recent years, but things are looking up for 2010: Justin Upton and Mark Reynolds have emerged as premium talent, while additions in Adam LaRoche and Kelly Johnson should provide the team with more ways to get runs on the board. While Reynolds and Upton have come into their own as major league players, the jury is still out on Stephen Drew and Chris Young. The former has at least shown the ability to hit and field well at times, but Young provides negative value in the field, and has yet to learn how to take a walk at the plate. For this team to really take a step forward and provide offense to supplement the rotation, these two guys are going to need to put it all together. Based on past performance, I think Drew will get there, but I’m not convinced at all by Young. He’s clearly a great athlete, but I’m not sure he’s a great baseball player. As has been the case for the last few years, this division will be all about the Cardinals, Cubs and Brewers. After locking up Holliday, and knowing Chris Carpenter is back and healthy to form a strong tandem with Wainwright, St. Louis is looking strong. Top prospect Colby Rasmus showed some value with his glove immediately, and scouts expect his bat will follow. The main issue with the Cardinals though is the same one that hurt them down the stretch, and made their playoff run short lived: a lack of depth on offense beyond their superstars. 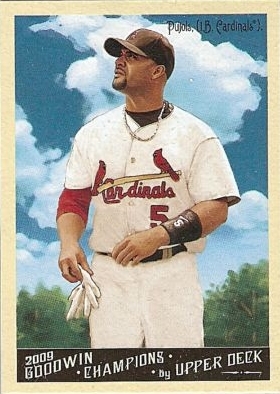 Pujols and Holliday are always intimidating, but the supporting cast doesn’t have a ton of depth. The question for 2010 then, is whether or not the likes of Ludwick, Schumaker and Lugo can provide adequate support to get the job done again. The core for the Cubs is getting older, and time is running out on this team before the veterans start to age and under-perform while being overpaid. Specifically, Soriano is locked up through 2014, Zmbarano through 2012, and Aramis Ramirez is on the team for another two seasons. These are all players who can still contribute, but one has to wonder how much longer they can do so at a high level; the team is also stuck with Carlos Silva for the next two years, the price that was paid to get the unpopular Milton Bradley out of town. Their only major moves this winter involved upgrading the outfield with the likes of Marlon Byrd and Xavier Nady; not exactly marquee names, but solid players who you can more or less count on (assuming Nady returns to form following last year’s injury). The rotation has veteran depth, but also features players who have had their share of injuries, and ups and downs. If Lilly can come back from injuries and Dempster can put together another reliable 200 IP season while Zambrano, Soriano and Ramirez stay on the field, the Cubs will take the division back and make one more run at that World Series championship Chicago so desperately wants. The third contender in this division is the Brewers. Unlike past seasons where the offense wasn’t a question, but defense and pitching were, this is the most well-rounded Milwaukee team we’ve seen in a while. Taking advantage of a slower free agent market than in years past, the Brewers brought Doug Davis back to Milwaukee, while signing the underrated Randy Wolf to round out the rotation. Last year’s rotation was more or less “Gallardo + a bunch of guys putting up 5.00-6.00 ERAs”. It was pretty ugly, and while I don’t expect Wolf and Davis to be All-Stars, they’ll give the Brewers quality innings and a chance to win when they take the ball. Helping matters will be Alcides Escobar at shortstop, and Carlos Gomez in center (who was obtained for J.J. Hardy to make room for the former). These two players don’t hit much, but bring some great defensive skills to the field in the two positions you want them most. Whereas Brewer teams a few years ago had some serious issues defensively, this year’s incarnation is taking a step in the right direction, while still getting power contributions from Braun and Fielder. As a Mets fan I hate to say it, but the Phillies are clearly the top team in the NL. 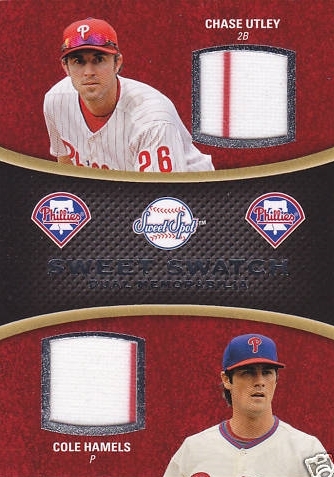 This time around, they’ll have a true ace in Roy Halladay for the entire season, and I expect Cole Hamels to bounce back to what we saw from him in 2008 (he threw a ton of innings that year for a guy his age, and was due for some regression in 2009 as a result). The only major change to the lineup is Placido Polanco returning to Philly to man third base, giving the team a good contact hitter to supplement an offense that gets on base and hits for lots of power, but is prone to strikeouts. Aside from catcher, this team has a premium offensive player at each position; to give you an idea, Chase Utley is the best of them all, and should contend for his first MVP title this season. Teammates Howard and Rollins already have their own from past years. Philly’s only weakness is their bullpen, and the closer situation. Brad Lidge was remarkably perfect in 2008, but followed that with a horrible 2009 campaign. The team is hoping he can bounce back, but the rest of the bullpen isn’t looking terribly strong either. It remains to be seen if the Phils will be able to consistently win close games. 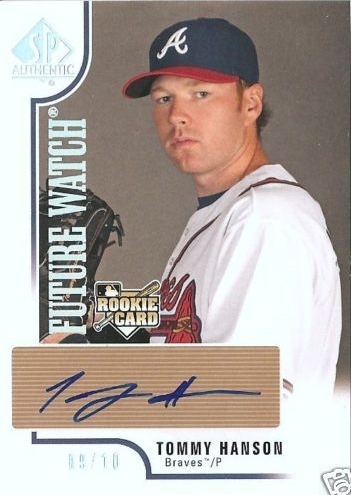 The Braves have rebuilt with pitching strong #1-5, and have young ace Tommy Hanson front and center. The 22 year old posted a 2.89 ERA last season, and there’s plenty of reasons to think he’ll be a dominant starter for years to come. Follow that with Hudson, Lowe, Kawakami, and you’ve got guys who will take the ball and give you a chance to win each day (and often enough, will put the team on their shoulders). Jair Jurrjens is the key at the moment; he’s fighting through some injury issues, but outlook is positive. As has been standard for the Braves since Teixeira left, the lineup is where the weakness lies. There isn’t much to be intimidated by when it comes to their bats, making phenom prospect Jason Heyward’s transition to the majors even more critical. Unlike the past few years when the Mets entered the spring considered favorites (Sports Illustrated famously picked them to win the World Series this time last year), the 2009 disaster has brought down expectations considerably. 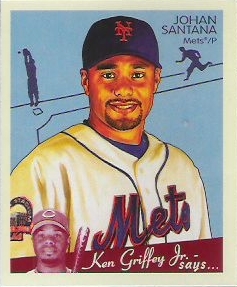 The team did sign Jason Bay to add a power bat, but they failed to sign a reliable starter to back up Johan Santana. The result is that Maine, Perez and Pelfrey will need to all perform up to career bests for the Mets to contend. Of course, last year’s injured squadron of position players like Beltran and Reyes will need to bounce back to form as well. Don’t count out the Marlins either. The low payroll wonder-franchise is set to contend again, featuring the game’s best young player in Hanley Ramirez. The rotation, bullpen and lineup are stacked with young, hungry players who have grown up in the big leagues together, and this time around it looks like the top talent will stay in Florida: Ramirez and staff ace Josh Johnson have multi-year extensions in hand. Finally, I expect the Nationals to surprise a lot of fans this year. While I don’t have any expectations that they’ll be contenders, they’re much improved from past incarnations, and have a plan in place. They have a solid core lineup, and their pitching is vastly improved. They’ve also taken some low risk chances on guys like Chien-Ming Wang, Matt Capps and Brian Bruney, who could be significant arms for the team. I don’t think this is quite their year (that’ll happen once Strasburg and Storen are big league ready), but 2010 is when they finally take a strong step forward. It’s going to be another great season, and I can’t wait for Opening Day. On a side note, I think it’s about time they just make it a national holiday. Most years it’s on a weekday anyway, and every stadium is still sold out. That tells me enough people are skipping out on work that we might as well add it to the national calendar; I know I’ve taken a vacation day to fully celebrate and enjoy past Opening Days, and plan to do the same this year too. Here’s to the spring, and the promise and optimism it brings to every baseball fan.